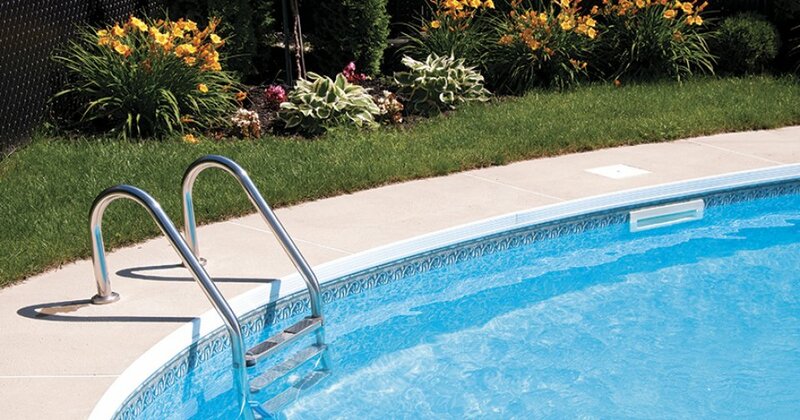 A properly maintained filter is the key to a clean swimming pool. It removes visible debris and most microscopic matter. Along with the chemicals you apply, it works to protect your health and help prevent the water from turning cloudy or even green. 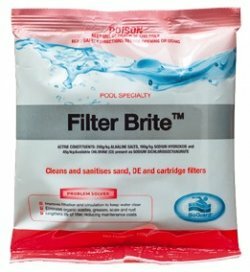 Unless something goes wrong it can be easy to forget about filter maintenance, but regular cleaning is needed to ensure maximum performance and to keep your pool looking great. There are two types of pool filters and each requires different maintenance. In a sand filter, water is pushed through a bed of special-grade sand and removed through a series of tubes called laterals at the bottom. You will know when the filter needs to be cleaned because the pressure on the gauge will increase and water flow will drop. This is when you backwash the filter – running it in reverse and dumping the waste water. Once this is done, run it in rinse mode to resettle the sand and then back to the normal filter setting. In addition to backwashing, you should chemically clean this type of filter twice in summer or as required. Generally the sand is changed every three to five years, depending on use. 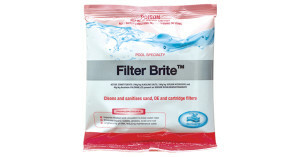 Cartridge filters capture debris and need to be cleaned regularly during the peak swimming season, as well as during the off-season. Cleaning is just a matter of lifting out the cartridge, hosing it and chemically cleaning it with a specialised cleaner that can remove oils, scale and any deeply embedded debris. 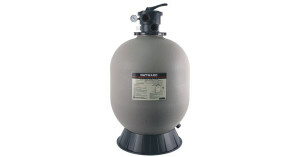 NB: Diatomaceous earth filters use a fine, porous powder to coat the grids inside the filter tank. To clean, backwash like a sand filter and then recharge with more DE powder (this must be done each time or the filter grids can be damaged). Whatever your type of pool filter, keep an eye on the gauge and schedule cleaning when required. BioGuard Filter Brite sanitises and revitalises these pool filters and cleans away oil, scale and rust deposits, making sure your family’s health is safe and your pool equipment protected.